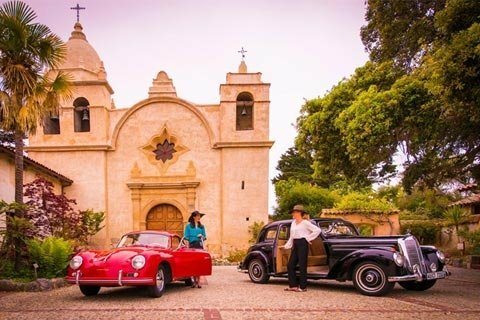 Enjoy wine tasting by some of Monterey County's finest vineyards, a self-guided tour, and beautiful live harp music in the background as you stroll the grounds of the crown jewel of the Monterey Peninsula, the Historic Carmel Mission. A no host gourmet food bar will also be available by a local chef. All net proceeds go to the charities of the Knights of Columbus and Carmel Mission! Admission is $55 and can be purchased at the door. ► 10:00 AM: The Classic opening ceremony; singing of the national anthem. 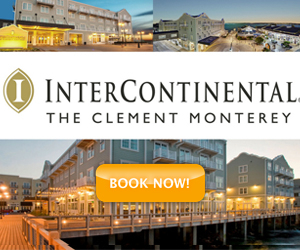 ► 11:00 AM - 4:00 PM: Gourmet food court and local wineries will serve their finest. ► 1:00 PM: Blessing of the Cars by the Most Reverend, Sylvester Ryan, Bishop of the Diocese of Monterey and Fr. Paul Murphy, the Pastor of Carmel Mission Basilica. ► Informal judging takes place throughout the afternoon. ► 3:00 PM: Presentation of trophies and awards.